The elliptical machine is one of the best cardiovascular exercises and is usually recommended to lose weight. We share the best elliptical workouts for beginners, intermediate and advanced. 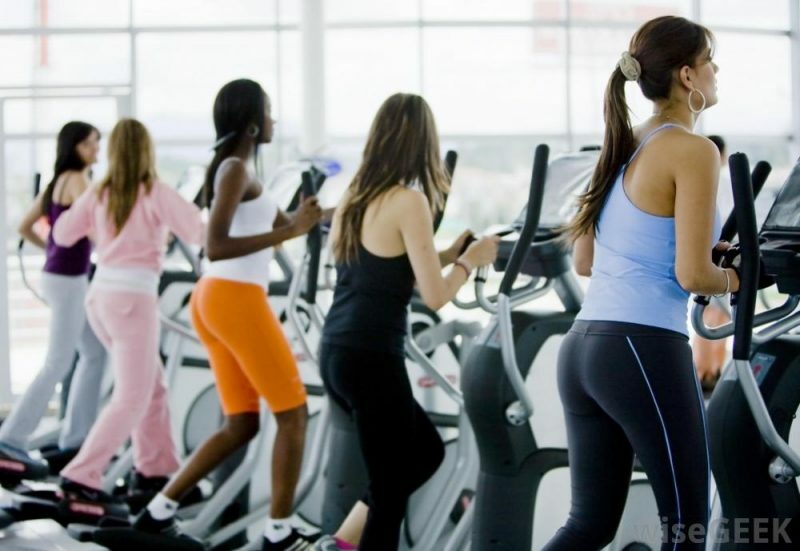 The benefits of elliptical training are multiple because it is a very complete aerobic exercise. With your help, there is a gradual toning of the muscles without developing much volume in a single area of the body. It is one of the best options to lose weight, train greatly and gain muscle tone easily; let’s not forget its excellent qualities as cardiovascular training. The first week – Monday 10 -15 minutes of exercise and Friday 20 minutes. The second week – Monday and Wednesday 15-20 minutes And Friday 25 minutes. The third week – Monday and Wednesday 20-25 minutes. Friday 30 minutes. Specially, the elliptical workout routine for beginners is designed for people who do not exercise regularly and who are just starting. They are generally those who resume due to an injury, or those who perform intense physical activity less than 1 time a month. The Fourth week – Monday, Tuesday and Friday 30-40 minutes. The fifth week – Monday, Tuesday, Thursday and Friday 25-30 minutes. The sixth week – Monday, Tuesday, Thursday and Friday 30-40 minutes. The seventh week – Repeat the instructions of the sixth week, but entering every 5 minutes of the training 20 seconds at maximum speed. At the end of 20 seconds, the usual rhythm continues. The intermediate level the elliptical routine implies that the body has already become accepted to the physical effort of the machine and the training, but the emphasis should be placed on the intensity. The eighth week – Monday, Tuesday, Thursday and Friday with 30-minute sessions in which every five minutes is worked at maximum body speed allows for a period of 30 seconds. When finishing with the previous thing one continues with the exercise to the habitual rate. The ninth week – The same instructions for the eighth week. The tenth week – The same instructions for the ninth week. The eleventh week – The same instructions are followed properly, but in this case, the lapse in which you work at maximum speed will be 40 seconds. At this point, people can apply to an advanced level elliptical routine where the key is to work in intensity and not so much in the training time itself. Working with the arms – At the moment when your legs feel tired, the arms can be more involved, thus the burning of calories is much higher and different parts of the body are worked. Exercises at a constant rate – It is the usual way in which an elliptical routine is fulfilled since in this way the body gets used to the effort and the results of the training are more equitable in the muscles. Intensity exercises – You can keep a steady rhythm for a few minutes, but every so often intensifies the work to modify the rhythms. This is a good idea for intermediate or advanced level routines. Exercises of change of rhythm – The exercise in the elliptical can be modified according to the rhythm in which you work. That’s why a good idea is that he sings two minutes to modify the rhythm in an ascending way. Once 30 minutes of continuous exercise has been completed, the body will use reserve fat as the main energy substrate, so it will lose weight. If you manage to reach 45 minutes you will get lipolysis that means a process of erosion of fats in the body. In case you can not observe good results with these instructions, the continuous work of the elliptical should be extended to at least 1 hour. What is elliptical training for? Hardens and lifts the glutes – It is very effective for the upper body. In other words, it is a very good option to get a firm and toning buttocks. Mark and tone the legs – You can get the legs that have always been dreamed by fulfilling the exercises in this elliptical machine. Lower the floats – It is important in this case that emphasis will be placed on the intensity and not so much on the resistance. Increase muscles – Because it works with resistance and at intervals, it is perfect for the development of muscles. Among the best fitness machines and cardiovascular training, the elliptical occupied a good place. With your help, multiple muscles are activated, getting the cardiovascular system to work to the maximum and burn a considerable amount of calories with results very difficult to achieve in other types of exercises. Anyway, you have to practice very well to train with the elliptical machine because otherwise, it can be harmful to the body. 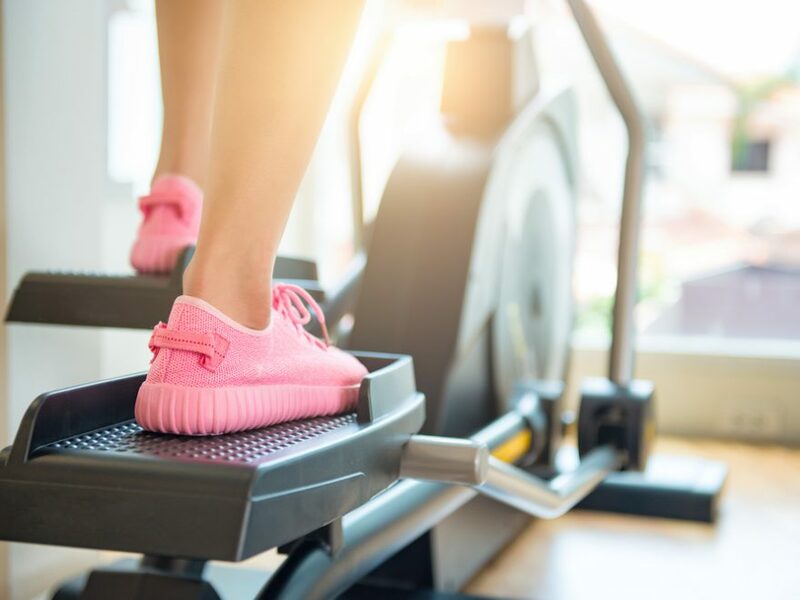 We share some of the typical errors when using the elliptical that you should never do because it can cause an injury such as cramps or damage your body. Bad posture – There are many people who take care to arch their backs to the front and this is very harmful to the back and the moving system in general since there is incorrect weight distribution. Always the back will have to be straight and hopefully with the neck upright. Let the eye always be towards the front. The wrong shoes – The sports material plays a key role so that the exercise has been executed in a good way. When training that the footwear is efficient for the sport, holding very well the feet and the ankles. Intensity according to the abilities – It is necessary to understand the capacities and potentiality of the own body since it is known other analytical can be the cause of some injury, a low pressure, etc. To know what is the appropriate intensity in the elliptical, it is only necessary to determine to what extent it is possible to speak, perhaps not continuously, but by saying short sentences. The elliptical routines have the advantage that the level of the person will be improving increasingly to the extent that there is a certain effort, in this case weekly. Likewise, with its realization, there are going to be many benefits in all the muscles and not only in the lower train. Finally, an elliptical routine is suitable to improve the cardiovascular and pulmonary capacity of people, so when doing another kind of exercise you will notice positive results. Finally, an elliptical routine is convenient to improve the cardiovascular and pulmonary capacity of people, so when doing another kind of exercise you will notice positive results. Do not forget your arms – As soon as you identify that your legs are getting tired, do your best to involve your arms more. Toning your legs – Press your heels down so you can tone your buttocks. In case you want to give preference to the quadriceps, do it but with the tip of your feet. He also has a good hamstring job. Work the middle zone – Leave your hands free and place them in the races or as if you were running (imitate the movement). With the above, the strength is going to concentrate in the abdomen and torso. At the end of the session – There is a lot of musculature that moves, so it consumes a lot of energy, which is why it is most convenient for it to be the last exercise of a more complete routine. Well my friends, I hope that this article elliptical workouts for beginners serve you well, do not forget that you can follow us on each of the social networks and above all I invite you to be aware of each of the publications.